Infra-orbital lividity defines the darker appearance of infra-orbital skin than the color of face. Increased pigments in infra-orbital skin, increased color production of color cells, thin peri-orbital skin may lead to infra-orbital lividity. What are the most common causes of infra-orbital lividity? Increased skin color, thin skin on ocular muscle, sagging skin and prominent lacrimal sulcus are the main causes. Increased amount of pigments (color cells) in infra-orbital skin makes the problem more evident. Genetic and environmental factors (sunlight, UV light), allergy may increase pigments. Infra-orbital lividity may be treated with Q-Switched ND-YAG laser, fractional lasers. 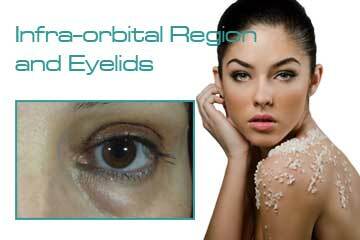 Thin infra-orbital skin is another reason. Thin and lean infra-orbital skin may lead the vessels be apparent and the color of the regions close to the eye seems darker. Aging and loss of skin elasticity lead to infra-orbital lividity. Aging leads to slowing down of cellular regeneration, environmental factors (sunlight, cold etc.) increases this. Environmental factors and work life make the body tired and regeneration of infra-orbital cells slow down. Sleep disorders may lead to infra-orbital lividity. How is infra-orbital lividity treated? Infra-orbital lividity has many reasons and better nourishment of the cells in this region should be enabled. What are the methods used for treatment of infra-orbital lividity? Treatment options vary depending on the causes of infra-orbital lividity. It may be a single or combination treatment. Please consult your doctor. Laser therapies: Infra-orbital vessels and pigments may be reduced with Q-Switched Nd-YAG laser, Fractional laser. Lasers also enhance collagen structure of the skin. Chemical peeling regulates pigments as it leads to skin rejuvenation. Eye creams which contain vitamins, minerals, anti-oxidants, may be used for regulating vessels and pigments. Filling treatment may be applied for treatment of infra-orbital lividity which results from thin and lean infra-orbital skin. Surgical treatment may be performed in treatment of infra-orbital lividity resulting from swelling and sagging of infra-orbital bags. What is Light Eyes Ultra? 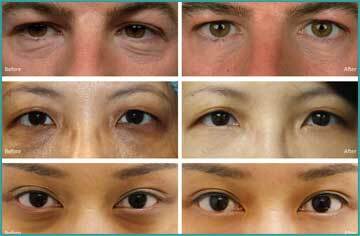 Some changes occur in skin and in peri-orbital region together with aging and life style. These include increased dryness, muscle weakness, loss of elasticity and lead to eyelid drop and fine lines. Lower eyelids begin to loosen with aging. They are formed into eyelid bags with fat and fluid accumulation and spread onto cheekbones with the influence of gravity. Light Eyes Ultra is a method used for treatment of purple rings, edema, fine lines and infra-orbital bags resulting from genetic factors, stress, circulation problems and the other causes. How does Light Eyes Ultra Work? What does Light Eyes Ultra provide? It may be used for reducing infra-orbital bags, eyelid edema, fine lines and lividity. How is Light Eyes Ultra applied? The product which contains hexa-peptide, ascorbic acid, fruit acids, cucumber, daisy, holly, rosemary, blue berry is applied with very fine needles. Is Light Eyes Ultra effective in males? It is applied not only for women but also for men and effects begin to be seen at the first session. How long does it take to apply Light Eyes Ultra? It is applied once a week for 4 weeks and its effect begins to be seen at the first session. Infra-orbital sagging, swelling and lividity problems are vanishing with “Redensity 2” infra-orbital light filling. It is the first and the single filling product which solves these problems at a single session. Minimum risk of edema. Tyndall effect was not observed.